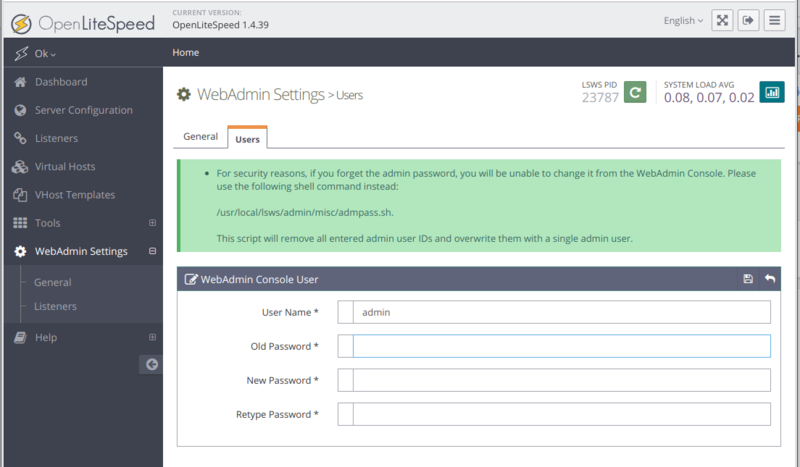 OpenLiteSpeed ia an Open Source version of LiteSpeed Web Server. 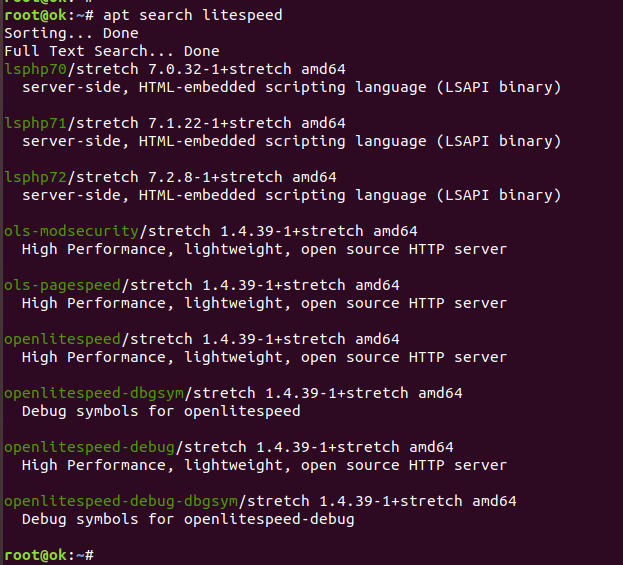 Now you have openlitespeed packages available on your server. Here is packages available on a Debian 9 server. Click on edit icon right side of user “admin”. In above example, when you install php7.2, it install “libapache2-mod-php7.2”, that will install Apache web server. I had a server with ngtinx, when i install php7.2 package, apache get installed. Once installed, apt-key command worked properly.